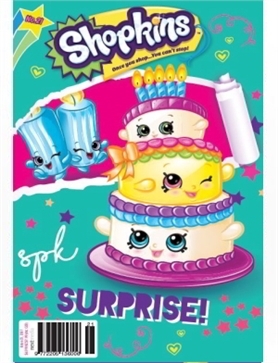 Shopkins #21 - MyMagazines - Subscribe online and save. This issue of Shopkins is packed with loads of awesome stuff! As the Shoppies jet off on their first international adventure, we learn about some of the wonderful places that they are visiting. We also learn more about the Surprise Party Shopkins, get crafty with Donatina, have plenty of sweet posters for you and more!